Last week it’s been a good one for fans of the Half-Life series, as the full plot for the never released Half-Life 2 Episode 3 has been released online by writer Marc Laidlaw. While, at this point, it’s clear the game will never be released, it’s now possible to enjoy content that has been created for it. A few hours ago, the Half-Life 2: Aftermath was released, including several maps developed for Episode 3. Due in no small part to Marc Laidlaw’s Episode 3 post, the release schedule for this mod was slightly stepped up. 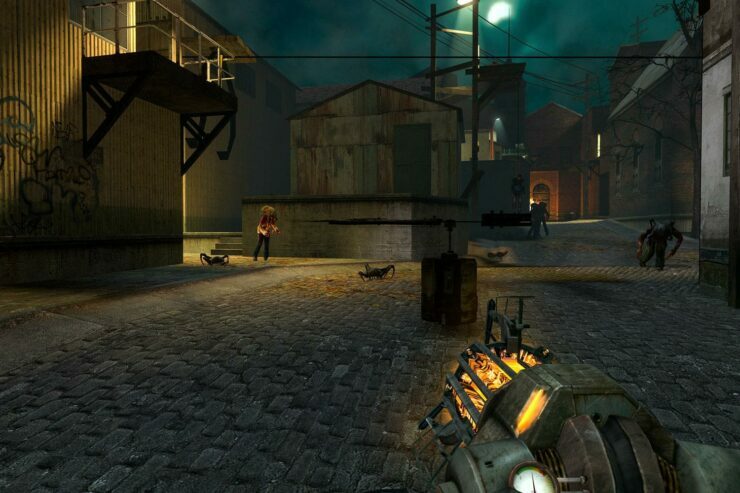 11 levels created by Valve between 2012 and 2013, intended for Half-Life 3. Keep in mind that these levels were gameplay experiments, not actual storyline based levels. 4 demonstration levels created by Lever Softworks to show various functions and NPCs not seen in those levels. weapon_proto1, a Combine laser-gun that shoot through walls, intended for Episode 3.
hl2eb_weapon_proto1_debug, a command which toggles the Developer Console spam created by weapon_proto1. npc_combine_armored, an Armored Combine Soldier, intended for Episode 3.
npc_wpnscanner, a City Scanner with a laser gun, intended for Episode 3. Unfortunately, npc_surface could not be included in mod, as we do not have the sufficient source code. For more information, consult the mod’s ReadMe.txt file. You can download the mod by going here.